I strongly believe that no matter how much you earn at your current job, as long as it's a job you hope to go beyond someday or you can be fired from, then you should have a side hustle. Have a little something you work on on weekends that might someday become big enough to provide an income large enough to live on. It's dangerous to have only one income stream. Having a side hustle is one of the best ways of getting an additional income source. There is no better way to try out your business idea than doing it as a side hustle while you still have a dependable monthly paycheck. It is the best way to work on what you really have passion for, no matter how financially boring it may look. Maybe you have a huge passion for gardening, but you don't plan to quit your current career to become a gardener. You can still go ahead and do on a commercial level what you really enjoy even though you don't see a career in it. You will be doing it for the fun of it and to spice up your life. Think of the inspiration you will cause when your clients find out that you are a bank manager during the week. It's the only way to acquire certain skills. There are some skills you can't acquire by reading or thinking about them. You just have to learn them by doing. If you hope to become a motivational speaker someday, then doing it as a side hustle now is the only way to acquire the speaking skill you need. Same with fashion designing, photography and programming. To become good at them, you need to do them. I got the courage to go on my own from having done Excel consulting as a side hustle for over a year. I learned to trust my own competence and, at the same time, improve it. It can become your big break. I once stumbled on the story of how Elizade came into existence. Chief Michael Ade Ojo, the founder, was selling cars as a side hustle. Then one day he decided to test the waters, he took at month's (or so) leave at work and put that entire month into his side hustle. At the end of the month he found out that he had made multiples of his monthly salary (I think about same as what his salary gets him in a year). So rather than resume from his leave, he simply put in his resignation and started Elizade. His side hustle led to his big break. Jim Rohn, a personal development guru, once said, "Earning $5000 a month is fine, but making an extra income of $2000 is superfine. Profits are better than wages." He also said, "Formal education will make you a living; self-education will make you a fortune." And we all know that you get self-education by hustling and not by taking company sponsored training. There is a special joy in earning N100,000 without the support of a system that earning N300,000 from an established system doesn't give. 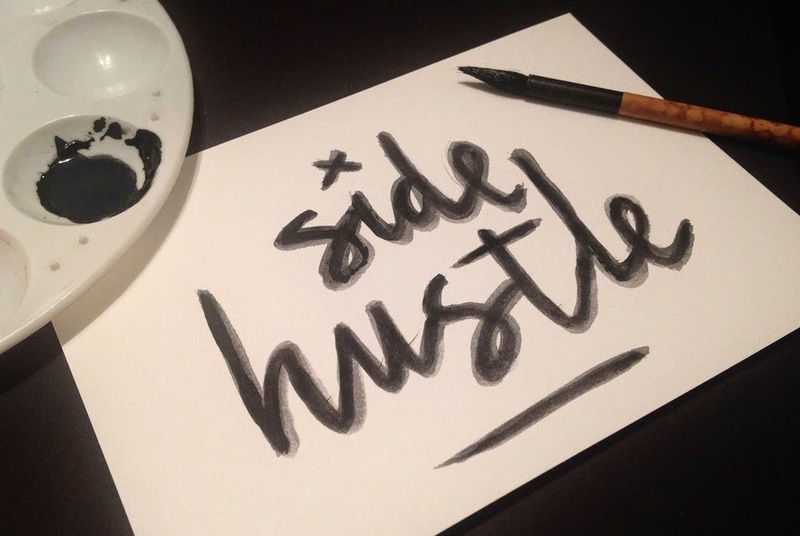 And best of all, having a side hustle makes transitions in your life easier. Nothing (death apart) can abruptly stop your life. Not being fired from a job. Not having your salary halved. Not having to relocate and find a new job. And you can more easily make life enhancing decisions. Like quitting a terrible job. Or relocating to a better place without fear of losing all incomes. For me, turning something as small as a Microsoft Excel knowledge into a side hustle has completely changed my life. Three years ago if I was told I would become a full-time independent consultant I would think of all those technical stuffs I had expensive certifications in (Oracle and Cisco) and my then current industry (Telecoms). Not in a million different thoughts would Excel have surfaced. So you never can tell which side hustle would turn out to be your main hustle. And forever change your life.